Chinese Qing watercolor painting on silk signed Ding Yan (Chinese, 19th century) in the manner of Ji Sheng (Chinese, active circa 1400) depicting bees amid peonies in a rocky landscape. 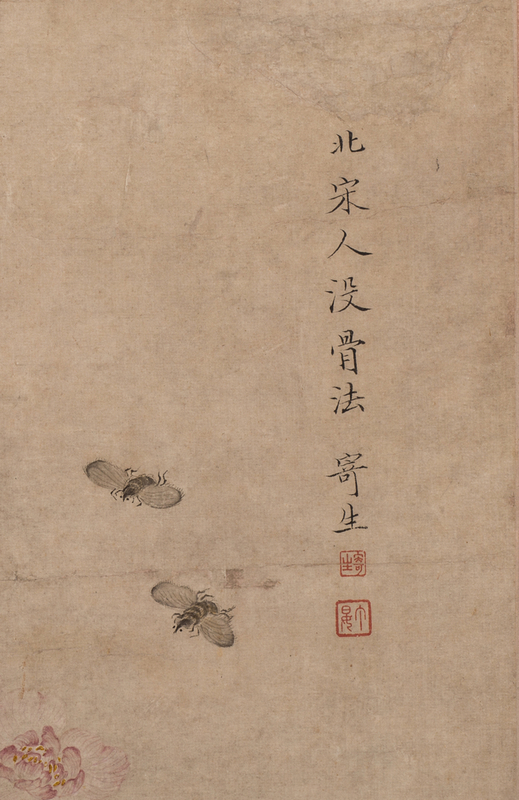 Calligraphy upper right indicates the painting was done in the style of the Northern Song Boneless Method, in which forms are made by ink and color washes rather than outlines. Later writing en verso: "R. Salterati Client Miss Cosby to Pocker, 824 Lexington Ave. at 63rd St." (Pocker is a well known framing company, in business in New York since 1926). 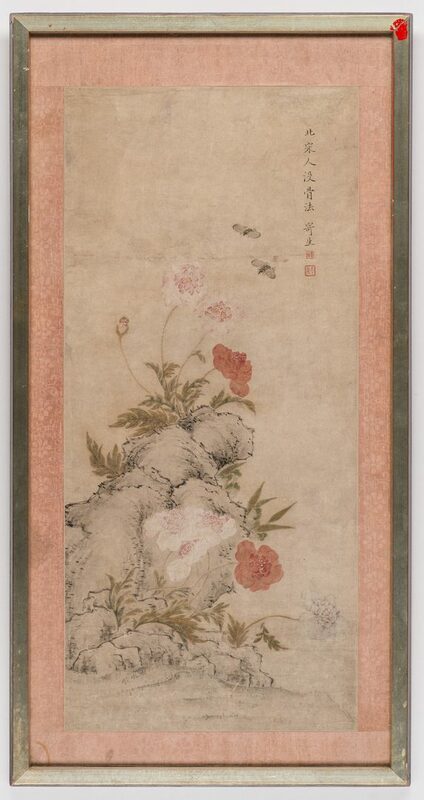 Mounted to pink silk damask and housed in a silvered narrow frame. 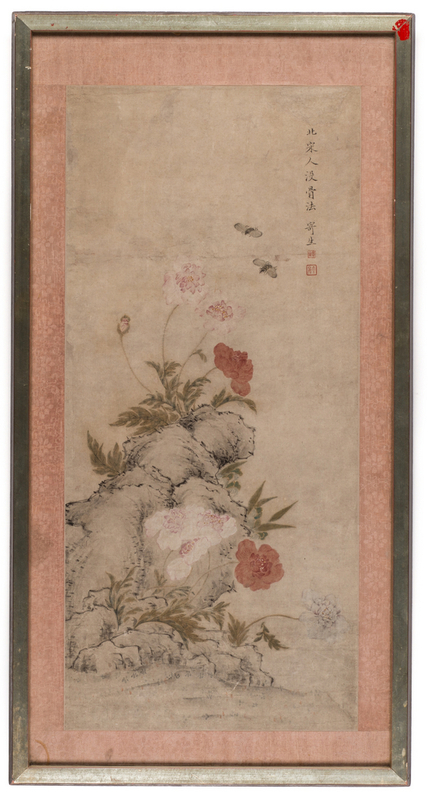 Image – 23" H x 10 1/2" W. Framed – 28" H x 14 1/2" W. Provenance: Nashville, Tennessee estate. Note: Ding Yan was a female Chinese painter, active before 1853. 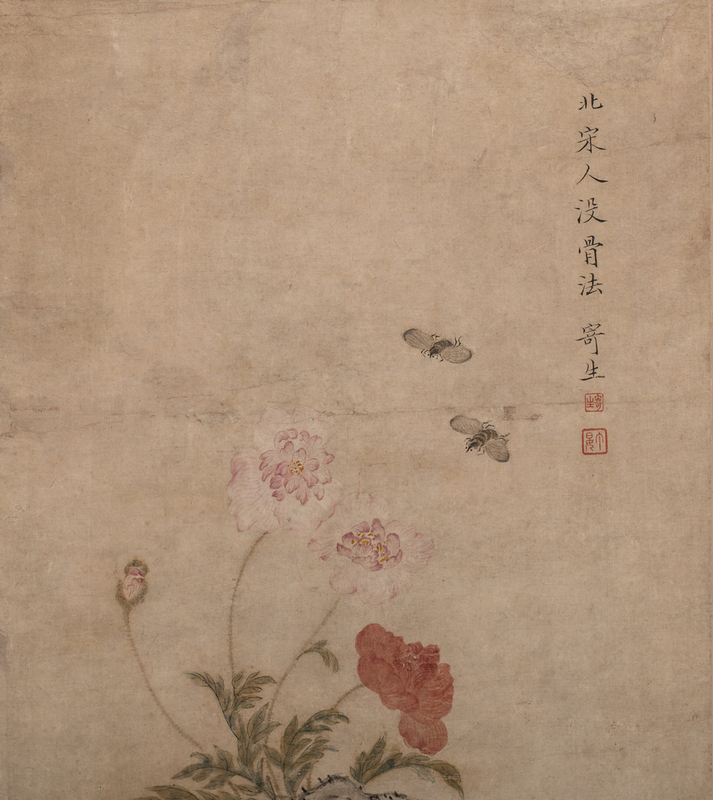 Her work is held by the Jiaxing Museum, Zhejiang. 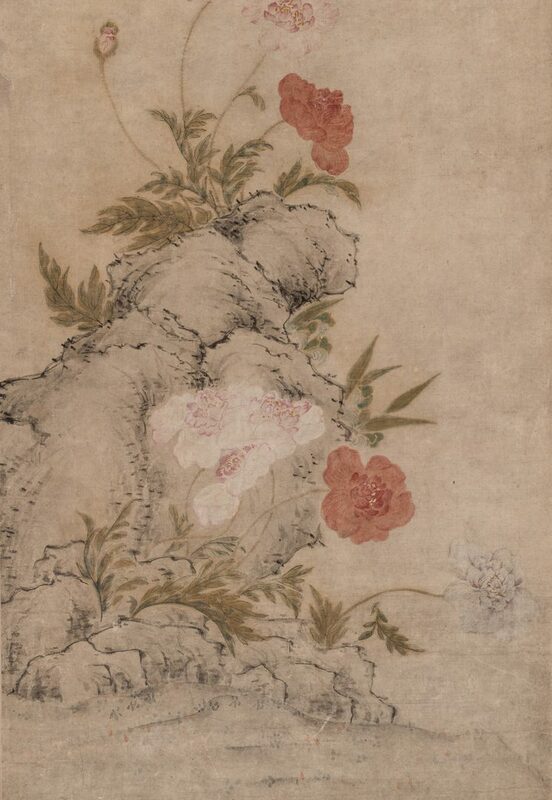 Ji Sheng was a Chinese Imperial painter active during the Xuande period of the Ming Dynasty. CONDITION: Light grime/discoloration and crease at upper third. Some smudges and light staining to silk mat. 1" area of loss to silvering of frame at top right corner.